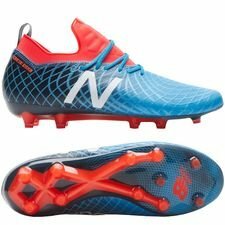 New Balance is back with a brand new colouway for their Furon 4.0 Pro and Tekela 1.0 Pro boots. The colourways are made with standout colours, which surely will capture anyones attention, when you dominate the game on the pitch. At the moment the main attraction is blackout boots. But this is certainly no the case for New Balance. They have decided to make striking colourways that puts some colours into the pre-season. 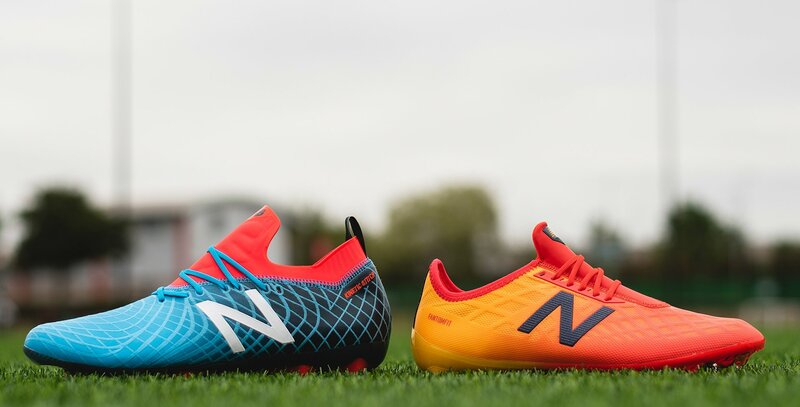 New Balance has chosen to use a vibrant Flame red and Aztec gold combo for their Furon football boots. 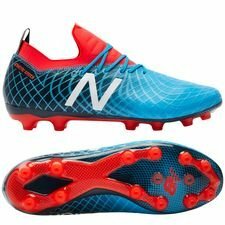 This is an excellent choice due to the colours reflect the player explosive nature, who have finishing as expertise, which also is the key factors for a Furon player. The new Furon 4.0 is designed for the attacking players who finishes without mercy, and the FantomFit and Hidraskin technologies allows the players to be deadly in front of goal. Moving on to the innovators of the game, who uses their speed and manoeuvrability to change the game. The Tekela 1.0 is made in a Polar blue colour with red details, which lies close to the fearless player who’s never in doubt off where to distribute the ball. They cut the defenses with the icecold touch, freezing all opponents in place, while giving their attackers a chance to execute the game. The Tekela is still on of the newer boots on the market and comes with the full micro fibre upper and dynamic kinetic stich embroidered bands. This gives the football boots an exceptional stability, feel and touch. Are you also the fearless player, or the explosive attacker who always changes the games? Then get your New Balance boots at Unisport from tomorrow.